It’s an old problem: the common condition of misaligned mating parallel-axis (spur and helical) gear tooth surfaces. The solution—new to molded plastic gears, but old in machined gear practice—is the modification of gear flanks by making them full thickness at mid-face width and tapered off to each face (see Figure 1). 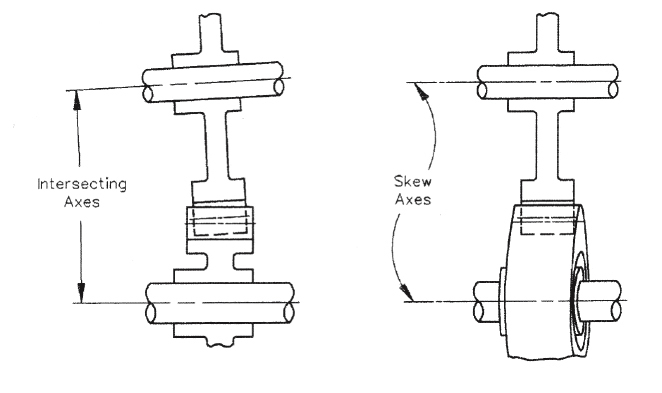 This modification, extending over the full height of the gear tooth, is referred to as crowning. The result is a crowned tooth or gear, not to be confused with other references in gear terminology. 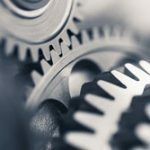 Other sources of gear tooth misalignment may have to do with the fact that molded plastic gears are commonly used with molded plastic housings, often of a fiber reinforced material. 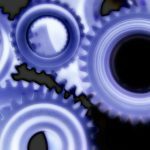 This process, with its often unpredictable distortions, makes it difficult to achieve and maintain a high degree of accuracy in gear alignment features. The same may be true in die-cast metal housings, even if less so with secondary machined bearing openings. All these housings are subject to further distortions under changes in temperature or the passage of time. Also, molded plastic gears are most likely to be supported in sleeve bearings with relatively large clearances in contrast to the small clearances in ball bearings. 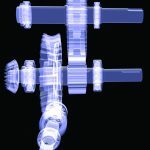 If the journal and bearing diameters are produced by molding, with their sizes controlled by typical tolerances, the resulting clearances may permit significant misalignment. As shown in Figure 4, the misalignment results from the combination of the clearance and the axially offset and opposing forces, such as those on compound gears. In some plastic gear assemblies, the gears are supported by small diameter metal shafts, either fixed to the gear and rotating or fixed to the housing and non-rotating. 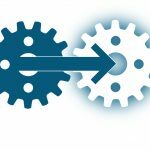 With either simple or cantilevered types of supports, there are further opportunities for gear misalignment. This occurs when there are forces large enough to deflect the shafts and when the gears are positioned on the high slope portion of the shaft deflection curve, as is shown in figure 5. 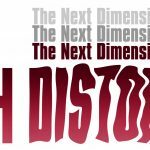 With slender molded plastic shafts in place of metal, the deflections may be even greater. 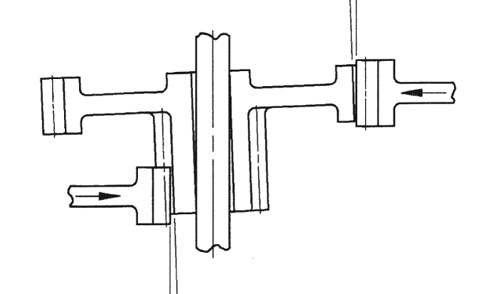 Cantilevered support may also be accompanied by a compliant structure, also in Figure 5, where it is shown without accompanying shaft deflection. One type of gear assembly is particularly sensitive to misalignment due to deflections under load. 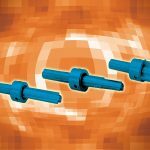 The planet gear in planetary gear arrangements is often supported by a cantilevered shaft, which may be of limited diameter to reduce bearing friction losses. The web portion of the planet carrier, connecting the planet shafts, may be of reduced thickness to save space. 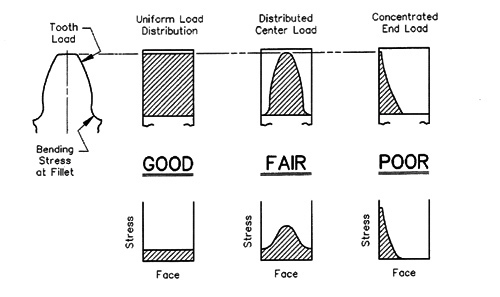 The combined deflection of these features under load, each pictured in figure 5, contributes to gear mesh misalignment. 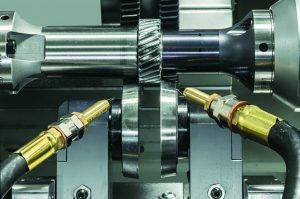 The major problem associated with gear tooth misalignment is the concentration of contact to a narrow strip at one end of the gear face width. The load transmitted through this narrow width gains support from adjacent material on only one side of the contact area, resulting in high bending stresses (see Figure 7). These high stresses may lead to the start of a crack, which progresses across the face width until a major portion of the tooth breaks. Also, the concentrated area of contact may initiate rapid tooth surface wear, with the wear products further accelerating surface failure. In the case of helical gears, the localized area of contact due to misalignment reduces the helical continuity of contact. 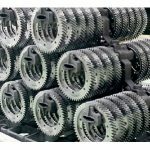 This reduction effectively eliminates the “smoothing” action in motion transmission expected from helical gears. The use of crowned plastic gears can improve the adverse conditions imposed by tooth misalignment. Contact will be shifted away from the end of the tooth to some central location along the tooth flank (see Figure 7). Instead of contact on a nearly sharp edge, over a narrow width at best, contact will take place along a gradually curved surface over a greater width. Support to the applied tooth load will come from this greater contact width, and also from adjoining material on both sides. Wear at the broader contact area will progress more slowly. More of the helical gear action will be maintained, often preserving the helical gear noise reduction. There may be a further—if indirect—benefit of crowning. 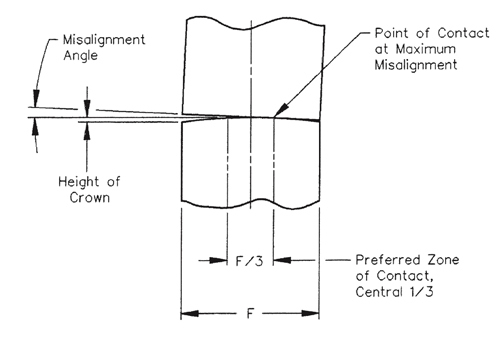 The application of crowning will permit a greater tolerance of misalignment in the product assembly. This relief may often be converted into a manufacturing cost reduction. 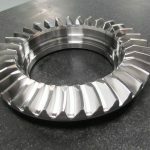 There is a long-standing practice of crowning machined steel gears. The modification of the tooth surfaces is generally accomplished by secondary operations. 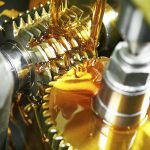 These gears have been used in a great variety of gear transmissions, including automotive. 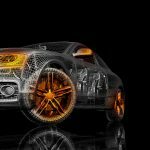 The need is present even when the transmission housing is of rigid metal construction with accurately machined features for mounting ball bearings with negligible clearances. 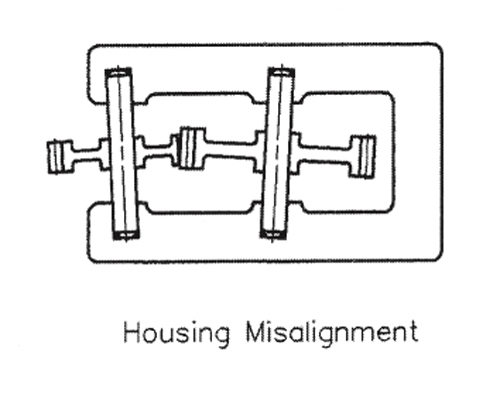 In applications associated with molded plastic gears, the need is even greater, as was described in the first section on misalignment. 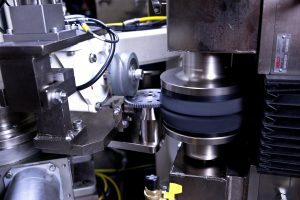 The recent introduction of crowned molded plastic gears has required significant development in new tooling and processing methods. The new tooling includes the construction of the mold cavity with varying cross-sections, smallest at the ends and largest at the center. 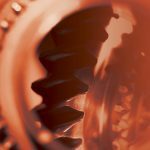 The process of molding the gear includes the ejection of the molded gear while preserving the modified tooth surfaces. This requires the optimum control of the ejection timing so as to take advantage of the initial shrinkage and the limited elasticity of the still-hot plastic material. This researched process is readily available for spur gears and some helical gears. 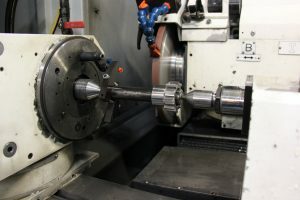 Except for a moderate increase in the cost of tool construction, there is no significant increase in molded gear cost. where: hC = height of the crown as a circular arc normal to the tooth surface, required to maintain contact in the central third of the face width, see figure 9. As an example, for shaft support misalignment of .005 inches over a length of 1.25 inches, giving a value to the angle, α, of .005 ÷ 1.25 = .004 radians. For a face width, F = .375 inches, the required height of crown, hC = 2 x .375 (.004) ÷ 3 = .0010 inches. 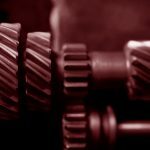 The required crown is generally applied to only one of the two mating gears, preferably to the gear which will provide the greater shrinkage clearance to assist in the ejection of the molded part. If the two gears are from materials with similar shrink rates, this would be the larger gear. 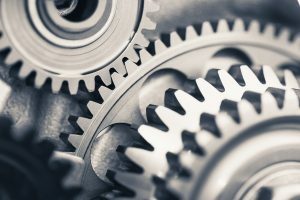 If the required crown height is too large to be accommodated in the molding of a single gear, it may be divided as needed between the two mating gears. 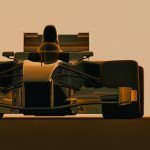 If there are two meshes in a row, the center gear may be crowned to benefit both meshes. 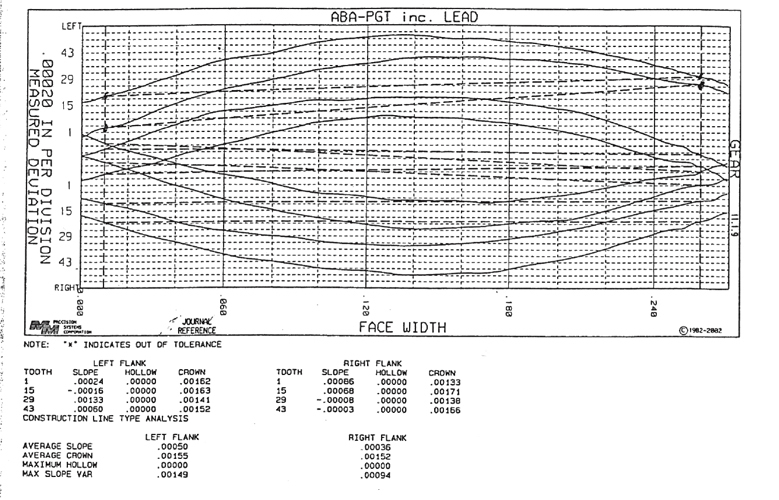 The preferred zone of contact is the central one third of the face width (see Figure 9). If the gears have very narrow face widths, there is no significant benefit from adding crowning. A tentative lower limit on face width in inches is 2.5 divided by the diametral pitch (in millimeters, 2.5 times the module). There is no upper limit, with the larger face width most likely to require greater crowning. As to gear diameter, there is again no upper limit. The lower limit is based on the shrink rate of the gear material and other factors which will influence the ease of molded part ejection. For higher shrinkage material such as un-reinforced acetal or nylon, one-half inch (12.7 mm) pitch diameter is a tentative lower limit. This lower limit is likely to be revised as experience is expanded. The pitch (or module) of the gear has to be considered before specifying crowning. There is no upper limit on how coarse the pitch. 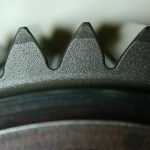 When it comes to how fine the pitch, restrictions apply that relate to the methods of mold cavity processing and, in some cases, to the fillet design of the gear tooth. A tentative limit is the diametral pitch of 32 (or the module of .80). This limit, too, is likely to be revised with greater experience. These limits are based on experience with spur gears. They may be applied to helical gears with helix angles up to, say, 30 degrees. However, other issues relating to tool processing and part ejection may, with further experience, introduce tighter limits. Initial inspection of the crown for shape and height is generally made on elemental gear inspection equipment. 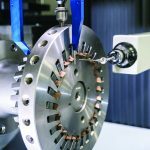 The measuring probe follows the gear surface at the inspection diameter from one face to the other. On spur gears, its path is a straight line. On helical gears, the gear is rotated as specified by the gear design and the path of the probe is a helix. This is typically applied to four equally—or nearly equally—spaced teeth. The results of this inspection are in the form of magnified plots of the measured surfaces. The shape of the crown is apparent in each of these plots and the height may be read from the enlarged scale. In addition, the height values are typically supplied in printed form (see Figure 10). 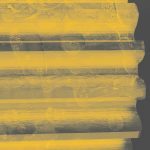 The printed values show crown heights of approximately .0005 inch. 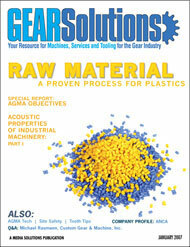 Once the gears are in production more conventional inspection methods can be used. This includes the use of a double flank check.